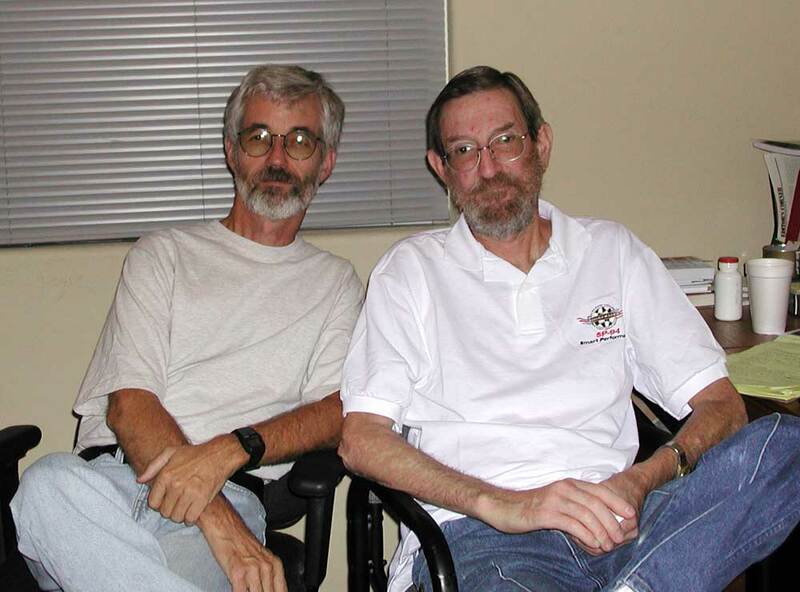 On July 14, 2009 my friend John Thawley died at 71 years old. 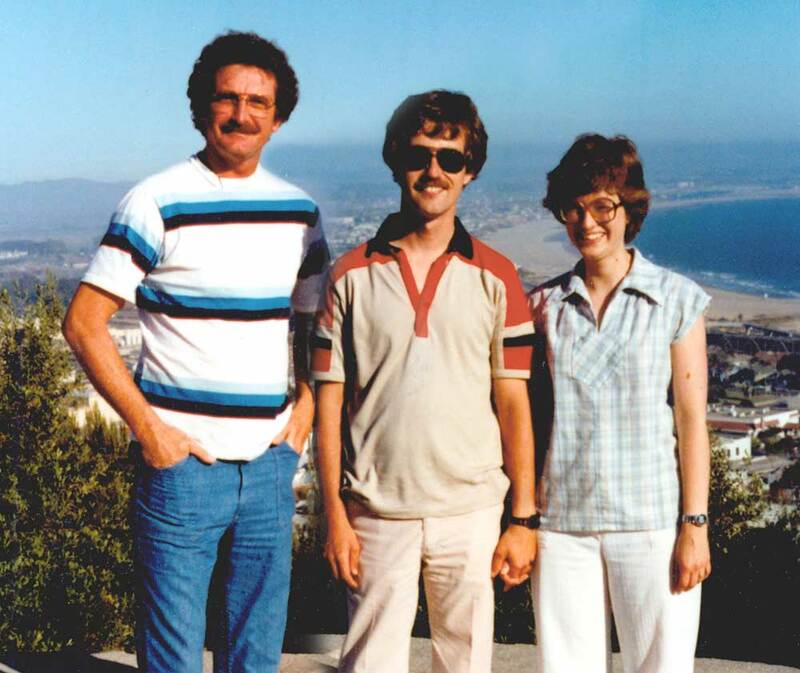 John Thawley, myself, and my wife Louise in July, 1980. 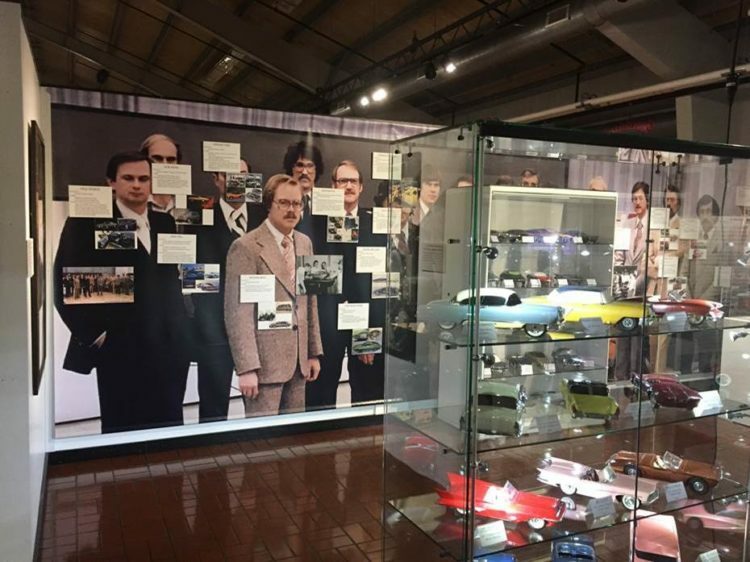 I was working at General Motors Design Staff in 1976. In Buick Studio. 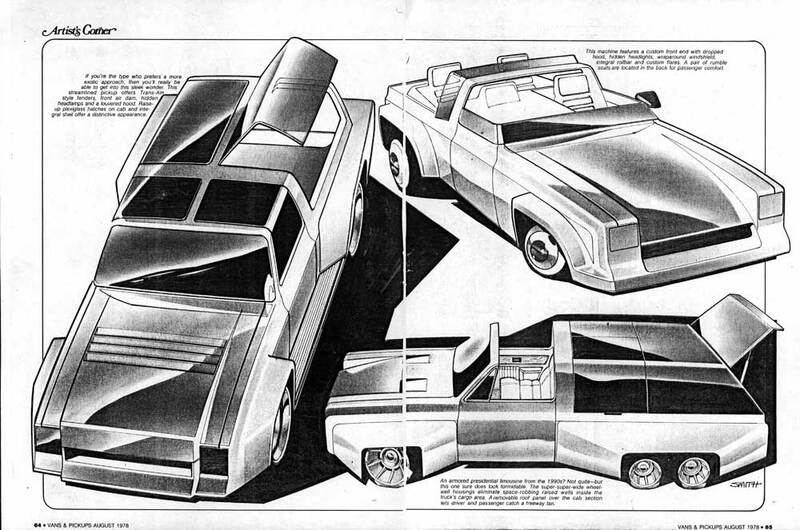 I was also working for Herb Fishel creating artwork to help him sell his Buick promotional vehicle ideas to management. And I was heading to California for a week or so and Herb offered to get me a car to drive. When I arrived at LAX I was picked up in a Riveria that I was to use while I was there. The driver was a tall, lanky Texan with a Willie Nelson eight-track in the tape player. That was my introduction to John Thawley. In June of 1978 I was laid up for a while recovering from injuries sustained on a dirt bike. John had talked about getting some of my work in some magazines, so I took some time and designed up some custom trucks. 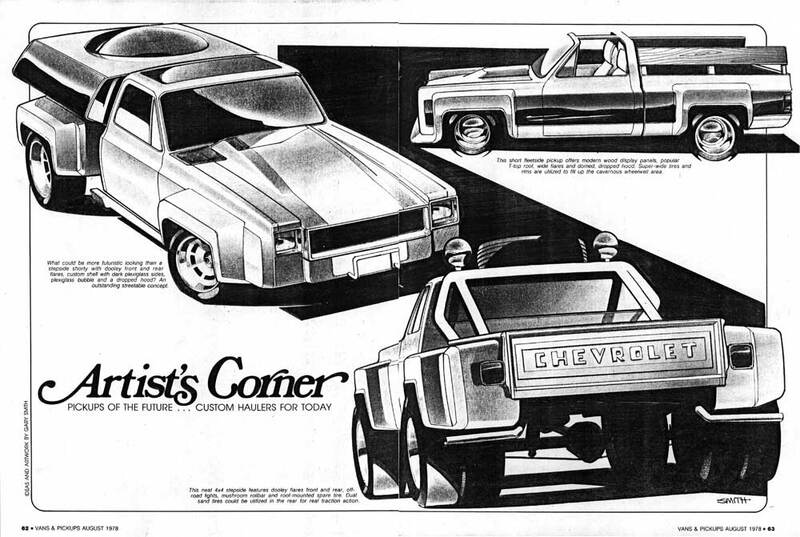 He hand carried the artwork to Peterson Publishing Company and got them to run them as two two-page spreads n Vans and Pickups magazine. 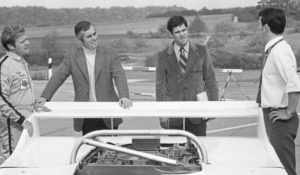 John also introduced me to Steve Smith, publisher of Steve Smith Autosports. 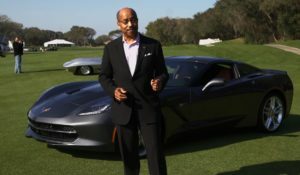 I don’t remember exactly how this came about, but the result was a book I put together entitled Race Car Graphics—The Professional Touch that Steve published (see a photo of the cover on the post about Pete Klain’s Corvette). 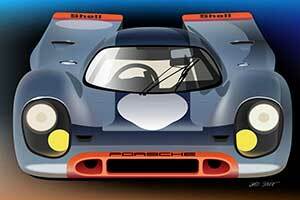 The intended audience was the amateur racer who didn’t have clue as to what to do with the graphics on his race car. 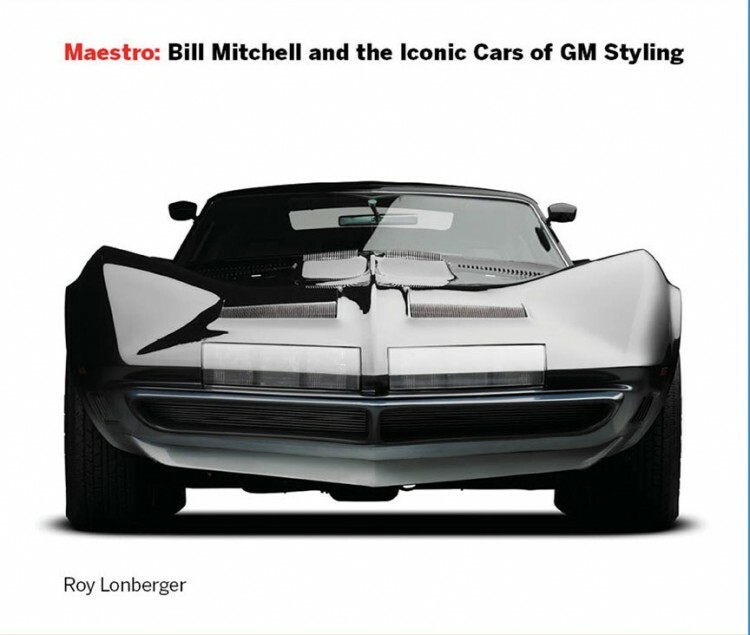 The photos and inspiration for the book mostly came from my experiences with Pete Klain’s Corvette in 1976–77. John also took some of my design work to Vic Edelbrock. 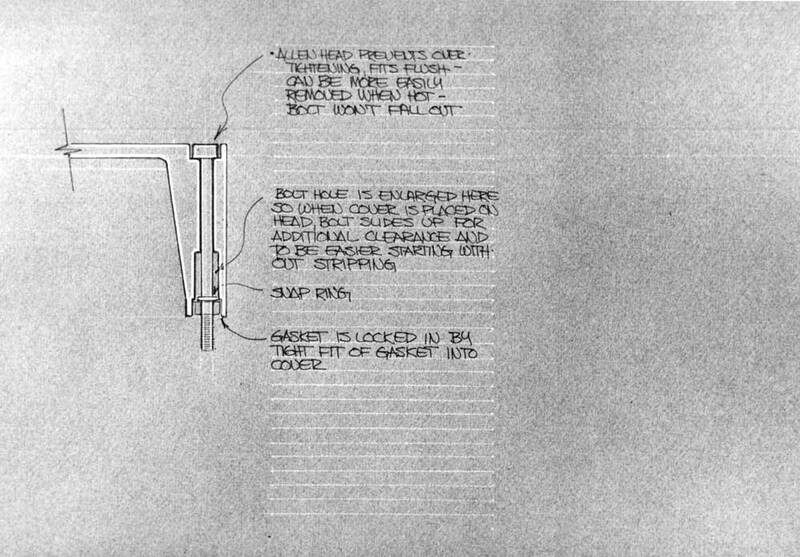 John was trying to get in the door there and thought some product design sketches might be of some help. 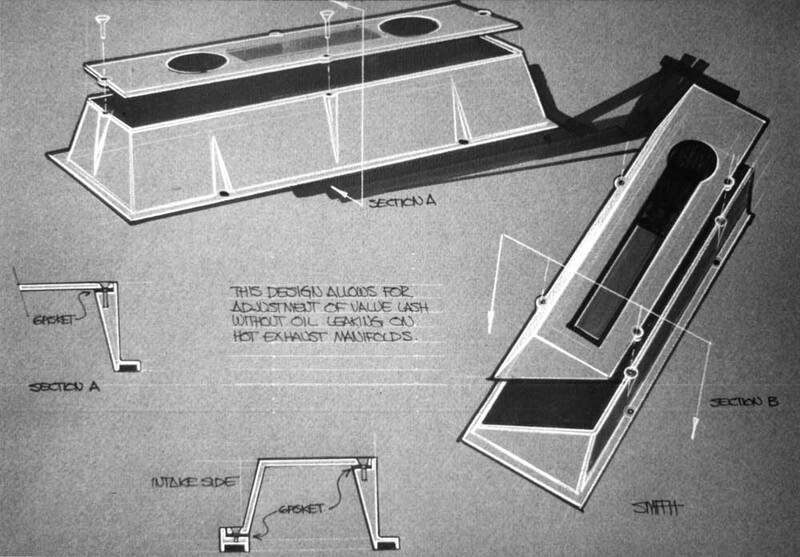 It’s probably just a coincidence, but years later Edelbrock produced a two-piece valve cover like one of my designs. That’s the way John was. He was constantly trying to put things together, and he’d do anything to help someone. He told me how he came up with free-lance articles, how he’d keep files on different projects or subjects and then when he needed an idea, he’d dig through the stack until something would work. I know he was trying to help me understand what it was like to freelance. 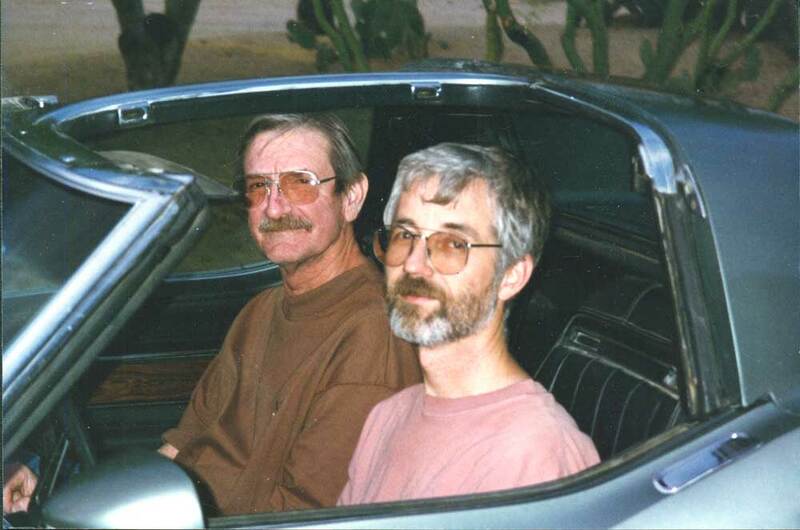 1976—I met John at LAX where he brought me a car to drive while in California. 1980—My wife and I traveled to California when my dad was ill and spent some time with John. 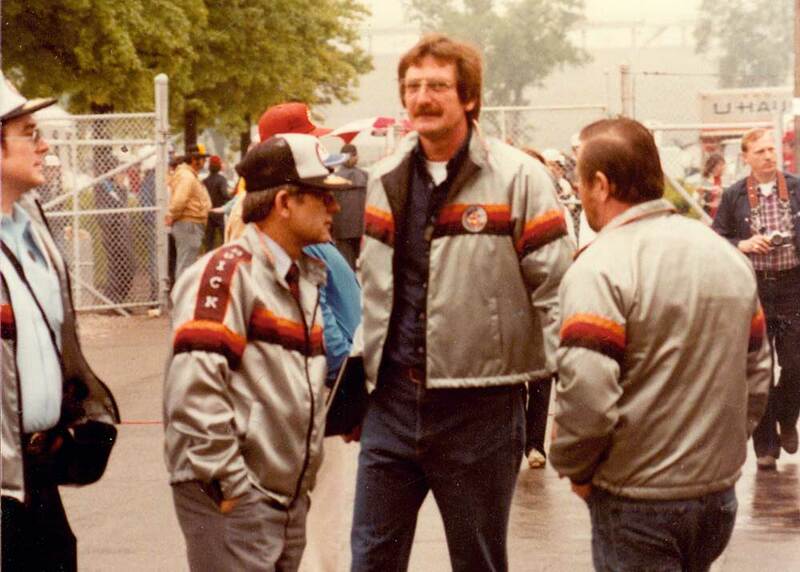 1981—I met up with John at Indianapolis Motor Speedway when Buick sort of invited me because of my involvement with the pace car graphics (Read the whole story). 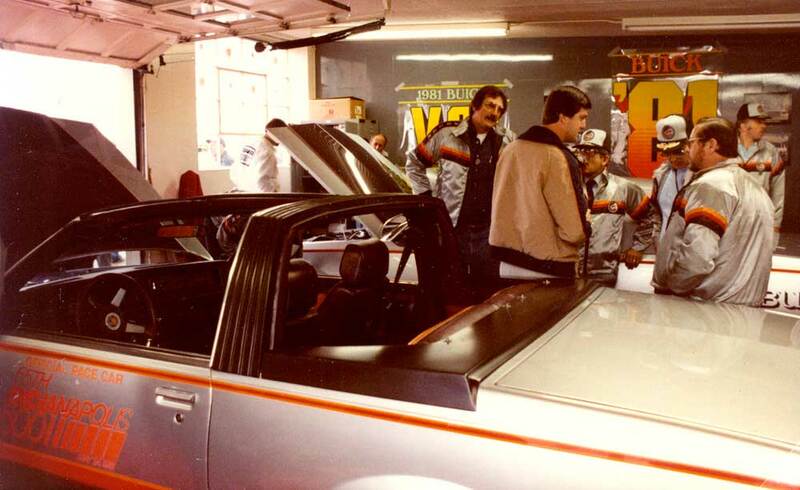 Early ’90s—I met John at SEMA and was able to spend a lot of time with him. 1996—I was working freelance for U-Haul International and somehow in the conversation with Harry DeShong that I knew John Thawley. Harry was very familiar with John’s writing. 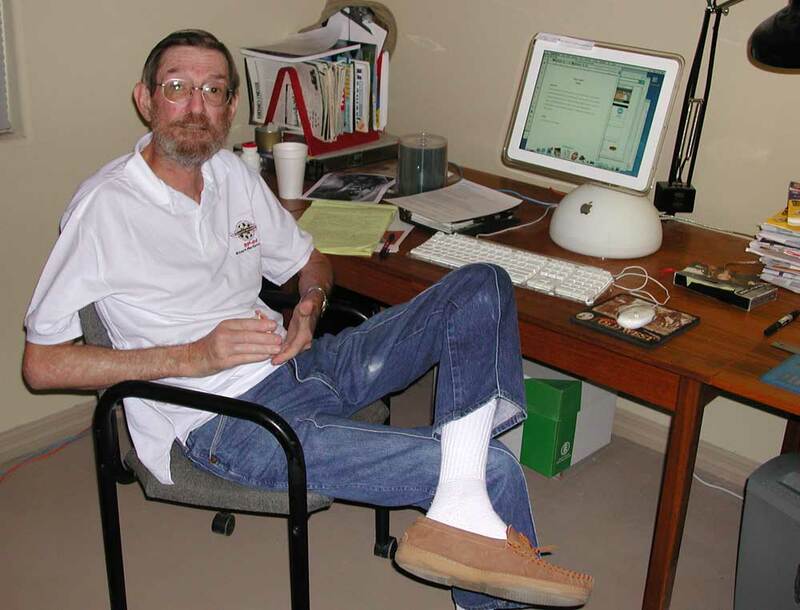 One thing led to another and John moved to Phoenix to work for U-Haul as a technical writer. It proved a bit too much for him, though, as he was thrust into a situation where he had to use Quark Express (a challenging page layout program if you aren’t familiar with it). He left U-Haul and went back to California. 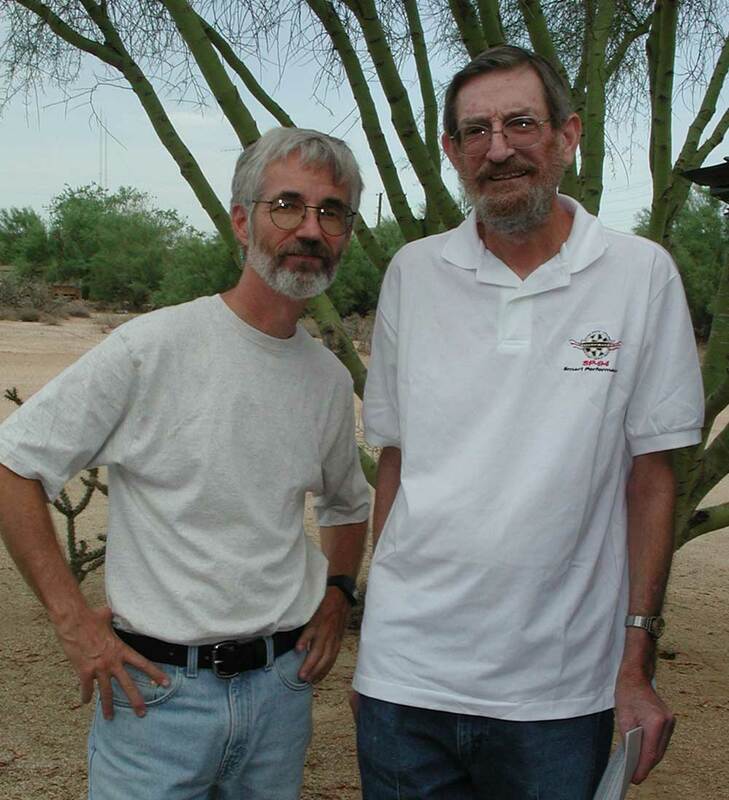 1996—I drove John down to meet with Bill Fisher of Fisher Books in Tucson. Bill had published several of John’s books in the ’70s under HP Books. I had just really come down for the ride, but I’ve learned to always have a portfolio just in case. Bill wanted to see my work. There were several book and magazine covers in the portfolio that I had done for Coriolis Group Books. Coriolis produced programming books and a magazine entitled PC Techniques that latter was changed to Visual Developer. Bill finished reviewing my work and told me that there wasn’t really anything that he’d seen that he could use at Fisher Books. I remember closing the portfolio disappointed. Then Bill really surprised me by asking me to work on a cover for a cookbook. 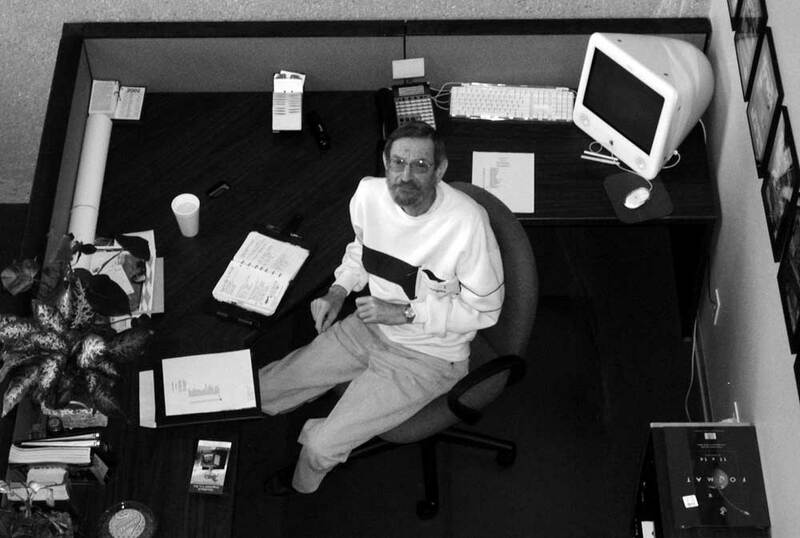 John knew some great people and Bill Fisher was one of them. That relationship continues with Bill’s son, Howard. 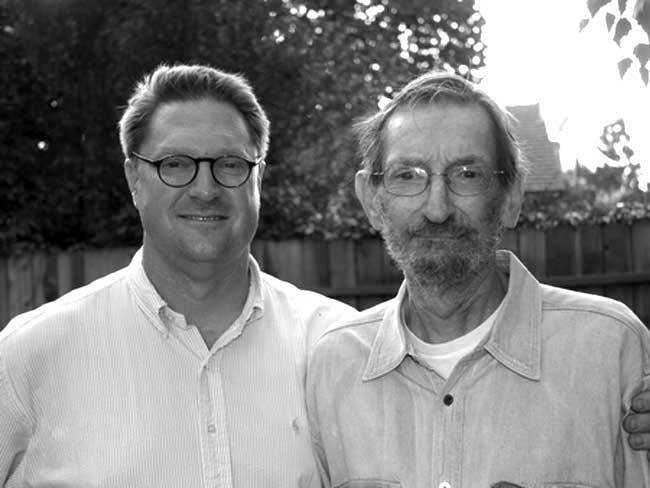 2002 or so—I drove to California to visit Len Emanualson at Automedia 2000 and to see John. I ended up being John’s Mac Tech Support as he was trying to learn how to use the iMac he bought. 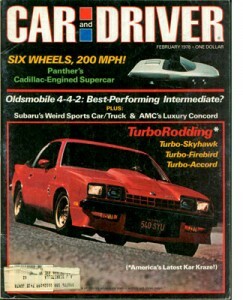 TurboHawking was the title of a feature article written by Don Sherman that appeared in the February 1978 issue of Car & Driver. 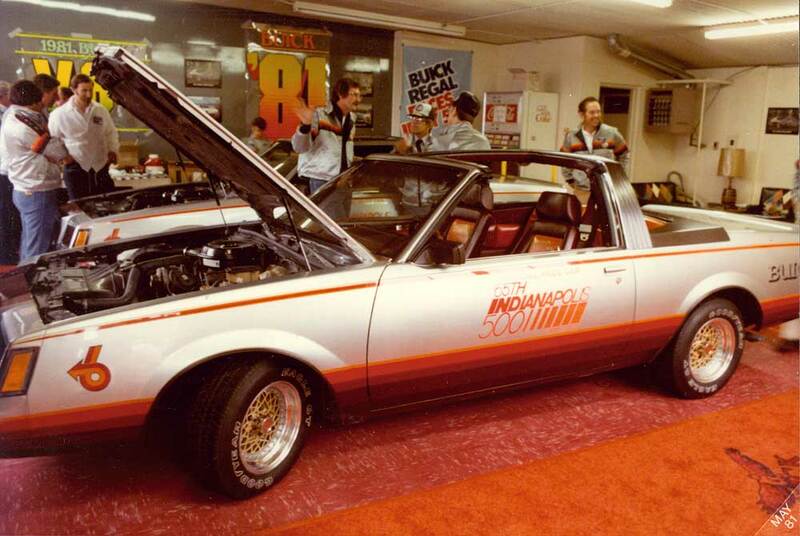 The Skyhawk was a Buick promotional project car that John put together for Herb Fishel. While the article sounds like the car is pretty together, apparently from what John told me nothing could have been further from the truth. The car would hardly run. 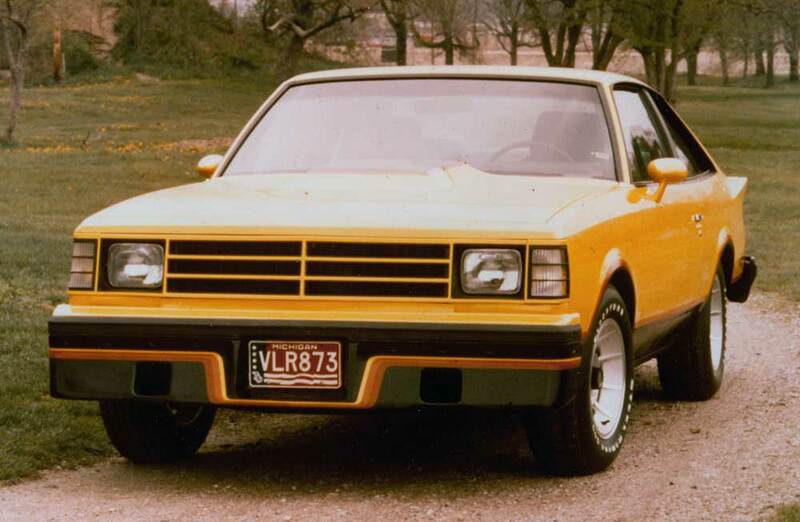 The front fender flares were from the Buick Roadhawk and so poor that it was easier to reproduce the front fenders out of metal than to use the factory fiberglass parts. 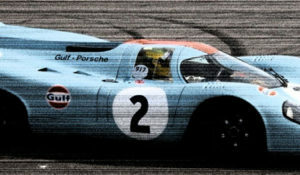 The front air dam was a similar reconstruction. John had the back seat reupholstered to match the Recaro’s up front in black cloth with multi-color orange and red stripes. The car ended up at the fabricator’s showroom where it sat for sale for quite a while with no takers. It finally sold to a lady who had a little dog that shed white hair all over the black Recaros. You can read the article in Acrobat (.pdf) format by clicking on the cover or here. Some of you perhaps knew him as well as I did. Which is to say, he was a likable, generous man who placed his friends above himself. Even with me, he would only talk of himself briefly before turning the subject to what I was doing. The best of him I knew from stories. His demons I knew first hand. Since his death – only the good stuff comes to mind. He worked in radio and TV at KTBC in Austin Texas. Won a CBS fellowship to Columbia University. Covered the UT Texas Tower shooting. Rescued wounded from the line of fire. And wrote for Senator/VP LBJ. Sam & Jim McFarland were friends from Texas. It was through Jim that Dad wound up at HOT ROD Magazine. From there he went on to a stint at Rod & Custom under Tom Medley. Gray Baskerville, Pete Chapouris & John Diana were also on staff at the time. 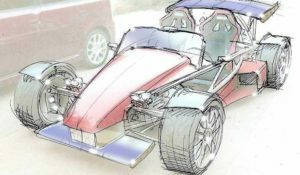 He helped start a dune buggy company and, according to him, single handedly designed the worst handling front suspension ever (on a vehicle I am certain he named himself – the Wompus Kitty). The Bob Waar moniker on his early books was used to sidestep an issue about writing for other publishers while still on the Petersen payroll. Tex Smith ribbed Dad about his Texas drawl and odd habit of collecting barbed wire… Bob Waar was the result. 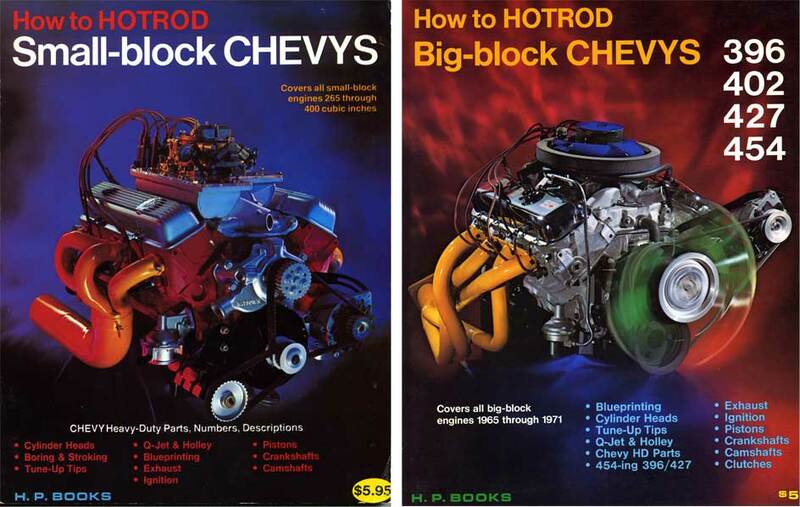 A Volkswagen book, the (How to Hot Rod) Small Block Chevy book, the Big Block Chevy book, the Off Road Handbook and the cult classic How to Hot Rod & Modify Datsun 510/610/240Z Engines & Chassis were all written as Bob Waar. Including those and the others that followed in his own name he wrote some twenty books over his career. He raced in Baja and Bonneville. He worked at Indy, Pikes Peak, Buick, Chevrolet, Nissan, Toyota, and others that slip from memory. He was married twice and fathered one child. His health was poor for many years. His body was weak and had little defense against the pneumonia he died from. Among the stories I relish most are those from guys who looked up to him and credited him for helping start their careers. I am one of them. Dad taught me manners and caring. He taught me to stay in touch and never to burn my bridges. He told me to never put anything in writing I could one day regret—a lesson he said he learned from a letter he once wrote to his first and best ever publisher, Bill Fisher. I’ll miss him. I’ll miss him a lot. While John was a student at The University of Texas at Austin, he joined the news department at KTBC AM-FM-TV in Austin and quickly established his credentials as a writer, reporter and photographer. He excelled at such a pace that, in addition to his reporting duties, he was soon the Anchor of the 10 pm Weeknight News. It was during this time that John proved he was courageous in more than just the utilization of the tools of his journalistic craft. On August 1, 1966, when Charles Whitman climbed to the top of The University of Texas Tower in Austin and began a sniper shooting rampage that became the worst mass murder in US history at the time, John grabbed his camera and rushed to the scene. It was a gun battle at high noon between law enforcement on the ground and in the air against the sniper on the tower. Not only did John brave the gunman’s fire to capture on film the images of the event, he put down his camera and raced through the sniper’s line of fire to pull wounded victims to safety. After the sniper was killed, John returned to the studios, wrote and edited stories, and anchored the 10 pm news that night. KTBC’s coverage of that tragic event received some of the nation’s highest radio and TV journalism awards. Also, during his tenure in television, John was one of eight TV journalists selected each year from around the nation to serve as CBS-TV Fellows in New York City, He spent a year of study in Columbia University’s Graduate School and participated in news operations at the CBS network. But John soon went back to his roots. Growing up in small-town East Texas, he spent much of his spare time with his head under the hood of a car. The long, lanky blue-jeaned teenager began a life-long love affair with all things automotive. The time he spent earning a college degree was simply a stop along the way. And while he polished his journalistic chops in television, it was simply a proving ground for his career to follow. Even the unmatched courage he displayed as a reporter dodging bullets, proved to heighten his sense of adventure that ultimately led to his pioneering efforts in the Baja California race and his love of speeding cars. So John signed-off at KTBC and signed-on with Peterson Publications in California—to pursue his love that began while trying to get the grease stains out of his jeans during his teenage years. Charles Whitman Texas tower shootings—KTBC special report from 1965. Neal Speice reporting. Probably includes some video by John Thawley who was there. Thanks for the opportunity to express our relationships with John Thawley. A few years ago John Petrie living in Austin, TX ,a friend of John’s, saw a car I was showing at a small town car show. He told Thawley about it. 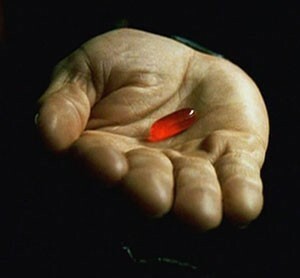 A few days later Thawley called me and explained he had recently moved to the Austin Area from California. He was writing for a couple of magazines and that my 53 Studebaker could be of interest for an article. He came to Seguin, Tx , took pictures of the car in our front yard on the River, as we became acquainted. Soon he came to live in the Mobile Home Park I owned. I took him to a couple of events like the Texas Mile in Goliad, TX but his health didn’t allow much of that. I will always remember the hours we were able to spend together. For me he brought to life the car culture of the West Coast. These were stories I had only read about. 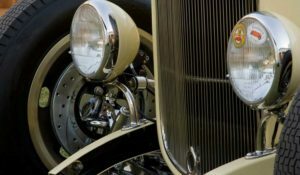 Stories about Bonneville Salt Flats, Buicks attempt at completion engines, and Off Road Racing. I wish I had been able to know him longer! Years ago John Thawley applied for a job working on an off-shore oil platform. He figured that 10 days on and 10 days off would give him enough time to continue with his freelance writing adventures. He knew through a friend the name of the personnel manager, called him and made an appointment. After explaining his story, the manager asked him if he’d like to take the entrance test right then because they were looking for more mature men like John that could better handle the time away from family. So the personnel manager opened up his three ring binder and started asking questions. After a few more like this, John became impatient and told the man. Footnote: John never worked on the oil rig. Herb Fishel found out about it and offered John a job working for Buick assisting Herb with his special projects. 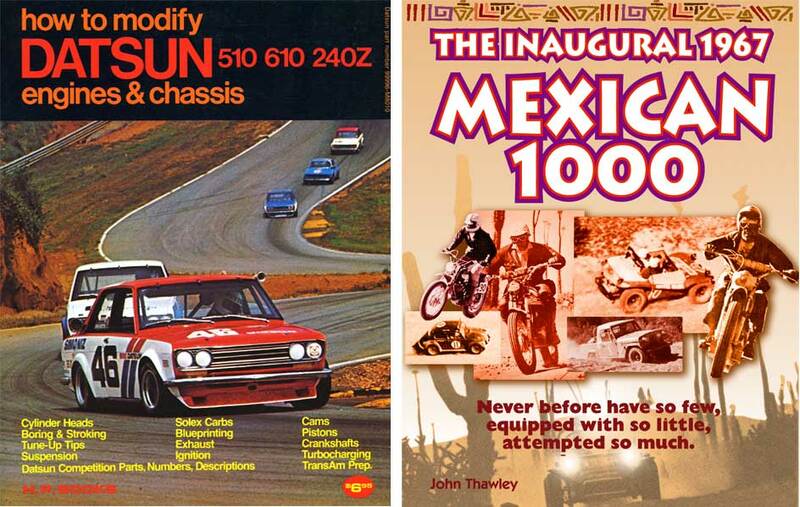 An excerpt from The Inagural Baja 1000 book by John Thawley that has yet to be compiled. Before my marriage license expired, I spent a lot of time in Baja. I gave up on making excuses—I loved the place. The people, sights, sounds, smells, food, grit and grime was like facing a large fresh fruit salad. Even during some rough times—my affection for the land never wavered. The feeling was as close to being narcotic as I’ll ever get. I traveled with friends; I made friends along the way and on several trips I was alone. Not smart then. Stupid now. In the late sixties/early seventies most gringos traveled in Baja with heavy four wheel drive vehicles or lightweight Volkswagen powered machines. My rides of choice favored the latter. 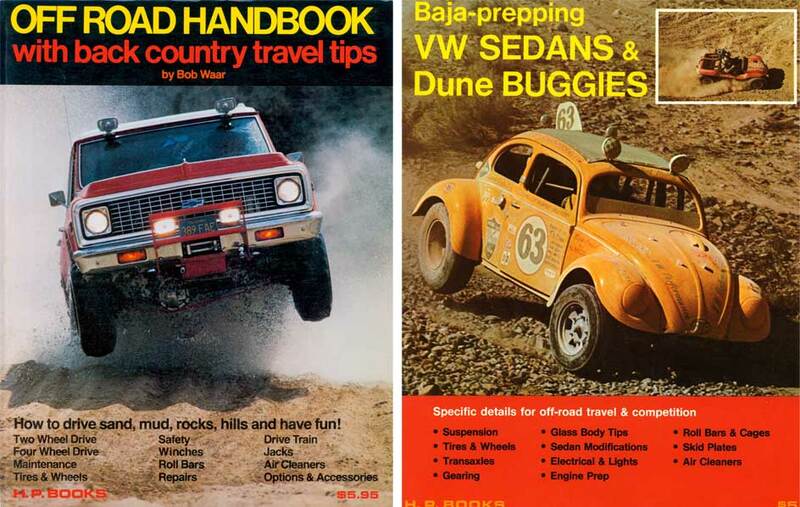 I was given to Baja Bugs. They were light, reasonably responsive in the desert, easy to work on and cheap. The last one I built was state of the art. Trimmed fenders ad hood, no engine cover and large tires and wheels. The back seat and running boards went in the trash. Keep in mind there was no off-road industry. Thus, the vehicle was not equipped with skid plates for engine or transmission. I carried tools, spare parts, food, water and a sleeping bag. Minimum accommodations; maximum fun. The plan was to trailer the Baja Bug to Ensenada, unload, make a leisurely trip down the peninsula, about 100–150 miles, explore side roads, ranches, beaches, camp out and be back at work Tuesday morning. Mid-morning of the first full day I was pretty far down the trail. On a one lane sandy trail, I “was riding the berms” to gain a little more ground clearance from the smooth high center. Perfect day in every respect. A great place and time to be alive. Without warning, there was a very loud THUNK and shudder from the rear of the car. Not good. Without thinking, I killed the engine and dropped the gearbox into neutral in one move. The center of the sandy trail behind me displayed a very even stream of oil. Not good. Seems there was a rock just under the surface of the velvet sand trail and it had created a 2-inch by 1-inch opening in the cast magnesium oil sump of the engine. On board was extra gas, oil, and several six packs of STP. Not on board something that could be used to plug a hole. I had a pretty good idea what was behind me on the trail. Not much. I had not seen a vehicle since the previous evening. My truck and trailer were somewhere between 150–200 miles away. There were several options. Walk forward to the next rancho and explore new options—if any. Simply sit and wait. Walk back towards Ensenada—hoping for a ride to the truck and trailer. With canteen in hand I headed south. Four or five miles away was a settlement of about 6 or 8 huts. One of the very modest dwellings had some metal signage being used as structural members—beer, soft drink and cigarettes. Sometimes this is an indication of a modest general store, tire shop, travel agency, and blacksmith; more often such adornment simply means a little protection from the sun. In this case, I got lucky. A couple of men were hunkered by the door of the sad little hut. My appearance on the landscape may have been big news for me—but faint amusement to town hall. I walked up out of nowhere—sunburned, rough-out work boots, filthy blue jeans, a T-shirt covered with oily sand, and smelling like a wet goat. Inside this 10 by 12 foot bedroom, living room, shopping mall there were some crude selves attached to a couple of walls. The shelves held a pathetic, rudimentary assortment of merchandise—two 1-pound bags of sugar. Some flour. Some used rope of indeterminate length. At this point, the contents of the shelves didn’t matter. I didn’t know what I was looking for. There was a hole in a cast magnesium oil sump that had to be plugged or one skinny Texan was going to be doing a lot of walking before this little trip ended. On a top shelf was a large blue box of Kotex. I’ve never used Kotex. Gender thing. I had a leak to stop. My crude, ugly, school bus yellow Bug in the middle of Baja had a leak. I bought the box of Kotex and walked back to the leaking Baja Bug. Gasoline flushed out the sump and with help of twigs, a screwdriver turned packing tool and copious amounts of duct tape, the offending hole got plugged with Kotex. The crankcase got filled with engine oil laced with STP and I drove back to Ensenada. From time to time, I’ve wondered about some old Mexicans telling funny stories over game of dominos and a few beers. A memorial service will be held at the NHRA Motorsports Museum, Thursday, August 27th at 2 p.m.
All are welcome. In lieu of flowers, the family asks that you buy a car magazine or something trick for your car. I never knew John Thawley. But, after your wonderful tribute, I wish I had known him. I atteneded school with John Thawley from fourth grade thru highschool graduation. He was a brillant student so I am not surprised by his success and colorful career. He had a personality to equal his brillance and was a happy go lucky guy! In about 1986-87, John visited the small E. Tex town where he grew up and phoned me while he was visiting with another school friend. We corresponded for a time after that but eventually my Christmas cards were returned and I lost contact with him. I tried repeatedly to locate him for our Class Reunions but to no avail. He would have added such excitement to our gatherings telling of his life since highschool days; I am proud of him! I am thrilled that a fellow classmate, (Carol) went to the trouble to locate him via Internet and we now have this wonderful info to pass along on our 55th Class Reunion to be held later this year. I would love to make contact with John, Jr. for additional information if that is at all possible. Thanks to all of you who made wonderful tributes to him. He was a good person and loved by all classmates. I used to own an offroad shop in Austin Texas. One day a tall soft spoken gentleman swaggered into my shop and started asking questions about what my plans for the next big project i was working on. I told him “whatever rolls in that door is what we’ll work on next.” He laughed and said that what ever it was, he wanted to write aboout it. John Thawley and I became fast friends on that day. He was driving an old chevy truck that wouldn’t run well and was horrible on gas. I had a white XJ cherokee with a broken door hinge and he was eager to write a piece on the “fix” for all unibody cherokees. I told him that if he wanted that old cherokee he could have it for $800. I gave him the title without any money changing hands. I told him, pay me when you can. With proper transportation, he became a regular visitor at my shop. He brought tons of research material, – pages upon pages ( recycled from the backs of other printed pages) . 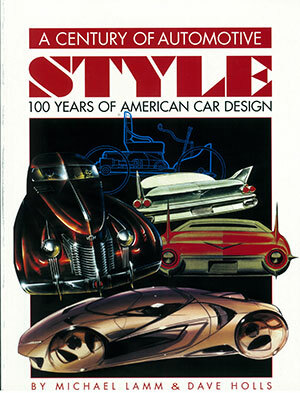 He told stories of the first baja, working with Buick, and his days working with Petersen publishing. It was a real treat. When John asked about my dad, his eyes lit up as I told him how he worked overseas building electrical power plants. He said he was working on a Green Energy Project and wanted to meet with him. They in turn became good friends. My dad an old hot rodder himself was presented with a copy of “How to Hot Rod a Small Block Chevy” and signed personally by Mr. Bob Waar himself. I moved locations and went through a divorce and lost track of John. He was always in the back of my mind making such a lasting impression. He gave me some old black and whites of Baja and a signed Dave Deal drawing. They are some of my most treasured posessions. JT you are missed here in Austin TX. He was my upstairs neighbor in Round Rock for a couple years….before he moved to Seguin….. I was proud to know him and loved all of his stories…..We spoke almost every day even after he moved…. I think about him a lot….. There is an ad on Ebay Motors for the 29 A Roadster with v6 Buick power(The current owner swears this was John t Build) I remember seeing a write up on this car and thought it was and still Is one of the trickest A Roadsters ever built. I think is great to know this car has survired all these years. I think its a testament to a guy who knew how to build em. We are losing the folks that put our current Street Rodding hobby in place, I miss them all Magoo, Pete et all.